But instead, the 29-year-old says doing the right thing cost him dearly. Ranked No. 139, hes one of the few players so established in the sport willing to speak frankly about the fixers who pay athletes to lose so they can profit from bets on the crooked results. The price of Trungellitis honesty has been rejection by other players and stress that hurt his health and his game. Compounding his unhappiness, Trungelliti also feels hes been left out to dry by tennis administrators and their anti-corruption investigators. Having pumped him for evidence, he says they failed to publicly defend him against those in tennis who muddied his name, questioned his motives for giving evidence and labeled him a rat. They just used me, he says. They just dropped me in the middle of the sea. It was a disaster, disaster. In my opinion, it was one of the worst procedures that I have ever seen, he adds. Im still paying the price. Trungelliti last year when he, his younger brother, mother and 88-year-old grandmother squeezed into a rental car and dashed 1,000 kilometers (600 miles) from Spain to Roland Garros so he could fill a lucky loser spot at the Grand Slam tournament that opened at the last minute when injured players withdrew. 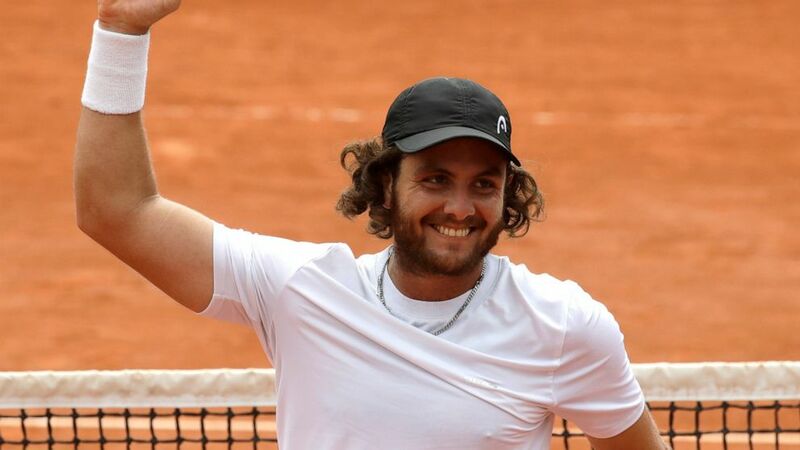 What few knew at the time was that behind his easy smile, thick curls and feel-good 6-4, 5-7, 6-4, 6-4 first-round victory against Australian Bernard Tomic, Trungelliti was shouldering a weighty secret: Hed been a key witness in a match-fixing probe that snared three fellow Argentines, testifying even though he knew that, back in Argentina, hed likely face a backlash for doing so. Best-known of the three was Nicolas Kicker, at No. 84, the highest-ranked player convicted so far of fixing matches. The Tennis Integrity Unit, the sports anti-corruption body with 17 full-time staffers, an annual budget of nearly 5 million and veteran ex-police investigators, announced Kickers guilt just three days before the French Open, where he had been preparing to play. Neither the TIU nor Trungelliti gave even the slightest hint at the time of the role hed played. In the aftermath, however, Trungelliti noticed player attitudes changing toward him. Even some he regarded as friends asked why he didnt keep his mouth shut. No one was saying Hi any more. No one was looking at me, he says. Its sad. Contacted by The Associated Press, the TIU said it couldnt comment because of its long-standing confidentiality policy with regard to disciplinary hearings and witness evidence. Due to my participation in the trial, I receive all kinds of insults from players to managers, he emailed the TIU last August. They are trying soil my honor. Trungellitis wife, Nadir, says there were times when the stress reduced him to tears. When he was playing, he just wanted to be home. He smashed rackets. A back injury flared again. But hes not shutting up. Its not just the players problem, he says. There are a lot of coaches involved. A lot. A lot. More than we think. If you are weak mentally, then you go in, you are all in, for sure, because its easy money, he says. If you think about it, this is like one hour working for one hundred thousand dollars. An investigation commissioned by tennis administrators concluded last December that betting-related corruption is particularly acute and pervasive at lower- and mid-level Futures and Challenger tournaments, below the top-tier ATP tour. Gambling syndicates often target players who, unlike the sports multi-millionaire stars, struggle to make a good living. In Belgium, prosecutors say , from more than a half-dozen countries, suspected of having worked with an Armenian-led gang rolled up last June that allegedly paid 500 to 3,000 euros (570 to 3,400) for fixed matches and sets. Police say the syndicate employed mules, small enough to slip under the radar of gambling watchdogs. Two other match-fixing operations were , in June and October. Trungelliti says he felt compelled to come forward when he was approached in July 2015 by a fixer who posed as a potential sponsor and was introduced via his coach. He wrote to the TIU, saying the fixer asked me to keep quiet. But I cant because I hate this, he wrote. Can you please tell me what I can do? I have his name, his telephone number and a few things he told me. In a subsequent hour-long interview with a TIU investigator and in a four-page witness statement, Trungelliti meticulously detailed what he knew. He said the fixer laid out a sliding scale of bribes: 2,000 to 3,000 for fixed Futures matches; 5,000 to 10,000 in mid-level Challenger tournaments; 50,000 to 100,000 on the ATP tour where the biggest stars play. The fixer said he paid cash and communicated using encrypted, easily deleted text messages. He reeled off players he said hed fixed matches with. Three leapt out at Trungelliti, all Argentines: Kicker, Patricio Heras and Federico Coria. The fixer was particularly proud of a Challenger match fixed in Italy with Kicker, Trungelliti told the TIU. Kicker lost 6-1, 6-2 in 63 minutes to South Koreas Duckhee Lee, then ranked 74 spots below Kicker, at No. 278. Kicker is now serving a three-year ban, with if he breaches anti-corruption rules again. Heras, whose career-best ranking was No. 269 in 2013, also is banned for three years, . Coria was banned for two months, with another six months suspended, for failing to report that he was offered money in July 2015 to lose a set at a Futures tournament in Italy and for not telling the TIU of another approach a month later to lose several matches. The TIU specified that Coria hadnt actually taken money or fixed games. But the TIU investigator who questioned Coria testified there was evidence in his iPhone of contacts with the fixer who also sought to groom Trungelliti. Whether the fixer is still operating is unclear. The TIU hasnt announced any sanctions against the fixer or said whether it shared Trungellitis testimony about him with police. As painful as the whistleblowing process has been for Trungelliti, he says hed go through it again if he had to. He says he reported a separate approach by another fixer in 2016. I love tennis, he testified. I feel very saddened by the state of tennis and the fact that match-fixing is happening so often.